The first four games of the Celtics-Bulls series made no sense. The road team won all four games and season-long trends gave way to puzzling single-game outcomes. Celtics winger Jaylen Brown hardly saw the court despite a solid rookie season. Rajon Rondo spent all year switching back and forth between starter and forgotten bench player (when he wasn’t going in on his teammates), yet emerged as a vital player for the Bulls in their easy Game 1 and Game 2 wins in Boston. He hurt his thumb and of course, the Bulls promptly disintegrated. Tonight, things returned to something resembling normal as the Celtics whooped the Bulls and took a commanding 3-2 series lead. Boston really should have run away with this game earlier. They shot 9-for-40 from three on the evening and a great deal of those shots were wide open. 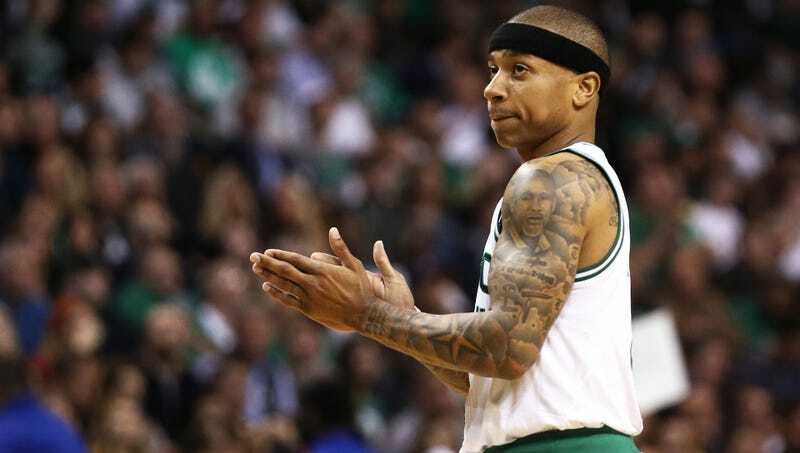 Isaiah Thomas still isn’t shooting well, but it’s impressive that he’s even playing at all given the fact that he hasn’t really had any time off in the wake of his sister’s sudden death. The Celtics spent most of the game manufacturing wide open shots, clunking them, then watching as Dwyane Wade somehow wriggled into another basket. Wade was fantastic tonight, going for 26 points, 11 rebounds, and eight assists, but really, Celtics shouldn’t have trailed in the fourth quarter given the smoothness of their offense and their mediocre opponents. Isaiah Canaan played 36 minutes. Anthony Morrow played 17. Boston only had six turnovers. There are still questions about the Celtics’ legitimacy as a championship contender, but they are a better team than the Bulls and they should be beating them at home. Had they lost, it would have been an exceptionally crushing defeat, especially since they just escaped from a 2-0 hole. Flawed as Chicago is, they are an odd matchup for the Celtics, since they can throw a stable of different big men at them and overwhelm the smallish Celtics with their mix-and-match frontline lineups. When Brown doesn’t play, Jimmy Butler also gets a smaller defender on him every time down the court. Should Boston survive, they’ll have learned a lot from Chicago and will be prepared for whoever leaves the Washington-Atlanta toilet party. A game where you miss 31 threes and still win by double digits can only be encouraging.